Draft: 2013, Arizona Diamondbacks, 1st rd. Spent the majority of the season with Triple-A Reno, going 6-4 with 1 save and a 5.81 ERA in 30 games (6 starts)...Made 3 relief appearances with the D-backs and posted a 7.20 ERA....On the 10-day disabled list from May 5-18 with right elbow inflammation... Was outrighted to Reno on Nov. 20. Was 0-1 with a 5.76 ERA in 10 games (3 starts) in his second season with the D-backs...Made 3 starts: May 4 @ Nationals (L, 3 ER in 4.0 IP), June 4 @ Marlins (ND, 4 ER in 5.0 IP) and Sept. 27 vs. Giants (ND, 3 ER in 3.1 IP)...In 19 starts for Triple-A Reno, was 7-6 with a 5.66 ERA. Went 4-5 with a 5.27 ERA (41 ER in 70.0 IP) in 13 games (11 starts) for the D-backs in his fi rst Major League season...Worked 5.0 or more innings in 10 of 11 starts, tied for second most by a D-back starting pitcher through his fi rst 11 career starts (also: Chase Anderson and Wade Miley) behind Brandon Webb and Barry Enright (11) [STATS, LLC]...Made Major League debut on July 25 @ Brewers (6 ER in 5.1 IP)…got fi rst hit in fi rst career plate appearance (double)...Was the fi rst pitcher in team history with 100-or-more pitches thrown in each of his fi rst 3 career starts (101 on July 25 @ Brewers; 106 on July 30 @ Dodgers; 102 on Aug. 5 vs. Brewers)...Second D-backs' pitcher to toss 6.0+ shutout innings twice within his fi rst 4 career starts, doing so on July 30 @ Dodgers (6.0 IP) and Aug. 11 @ Mets (7.0) [also: Zack Godley in 2015]...Was 8-5 with a 3.70 ERA (49 ER in 119.1 IP) in 19 starts with Triple-A Reno…named to the Pacifi c Coast League midseason All-Star Team and was tabbed by Baseball America as having the PCL's Best Breaking Pitch...Entered 2016 as D-backs' No. 1 Prospect by both MLB.com (67th overall) and Baseball America (77th). Spent the entire season with Double-A Mobile, going 9-11 with a 3.50 ERA (61 ER in 156.2 IP) in 28 games (27 starts)...Ranked among the Southern League leaders in starts (T-1st), innings pitched (2nd), ERA (6th), strikeouts (8th, 118) and wins (T-8th)...Was a non-roster invitee to Spring Training with the D-backs...Allowed 2 runs or less in 17 of 27 starts...Entered the season as Arizona's No. 2 Prospect by Baseball America (26th overall) and MLB.com (39th) and No. 19 overall by ESPN.com…also tabbed by Baseball America as possessing the Best Changeup and Curveball in the D-backs' system. Combined to go 7-8 with a 3.86 ERA (54 ER in 126.0 IP) and 127 strikeouts in 22 starts with Single-A South Bend, Single-A Advanced Visalia and Double-A Mobile...Began the season with South Bend, going 4-2 with a 3.74 ERA (19 ER in 45.2 IP) in 8 starts…made 10 starts for Visalia after being promoted on May 28, going 2-4 with a 4.03 ERA (27 ER in 60.1 IP)...Promoted to Mobile on Aug. 3 and went 1-2 with a 3.60 ERA (8 ER in 20.0 IP) over 4 starts...Pitched for Team USA in the All-Star Futures Game at Target Field (0 ER in 0.2 IP)...Rated as the D-backs' No. 2 Prospect by Baseball America and the No. 3 by MLB.com entering the season. Made his pro debut with Short-Season A Hillsboro, going 0-2 with a 7.58 ERA (16 ER in 19.0 IP) and 24 strikeouts over 8 starts...Promoted to South Bend on Aug. 14 and went 0-1 with a 2.61 ERA (6 ER in 20.2 IP), allowing 2 runs or less in each of his 4 starts…limited righties to a .163 average (7-for-43). 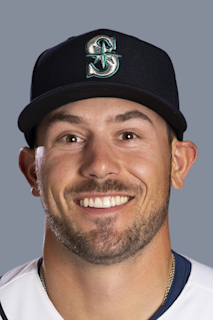 January 31, 2019 Arizona Diamondbacks invited non-roster RHP Braden Shipley to spring training. November 20, 2018 Arizona Diamondbacks sent RHP Braden Shipley outright to Reno Aces. October 2, 2018 Arizona Diamondbacks recalled RHP Braden Shipley from Reno Aces. June 26, 2018 Arizona Diamondbacks optioned RHP Braden Shipley to Reno Aces. June 24, 2018 Arizona Diamondbacks recalled Braden Shipley from Reno Aces. June 13, 2018 Arizona Diamondbacks optioned RHP Braden Shipley to Reno Aces. June 11, 2018 Arizona Diamondbacks recalled Braden Shipley from Reno Aces. May 18, 2018 Arizona Diamondbacks optioned RHP Braden Shipley to Reno Aces. May 8, 2018 Arizona Diamondbacks placed RHP Braden Shipley on the 10-day disabled list retroactive to May 5, 2018. Right elbow inflammation. May 5, 2018 Arizona Diamondbacks recalled RHP Braden Shipley from Reno Aces. March 18, 2018 Arizona Diamondbacks optioned RHP Braden Shipley to Reno Aces. October 10, 2017 Braden Shipley roster status changed by Arizona Diamondbacks. October 4, 2017 Arizona Diamondbacks reassigned RHP Braden Shipley to the minor leagues. September 1, 2017 Arizona Diamondbacks recalled RHP Braden Shipley from Reno Aces. August 21, 2017 Arizona Diamondbacks optioned RHP Braden Shipley to Reno Aces. August 20, 2017 Arizona Diamondbacks recalled Braden Shipley from Reno Aces. August 12, 2017 Reno Aces activated RHP Braden Shipley from the 7-day disabled list. August 7, 2017 Reno Aces sent RHP Braden Shipley on a rehab assignment to AZL D-backs. July 26, 2017 Reno Aces placed RHP Braden Shipley on the 7-day disabled list. June 29, 2017 Arizona Diamondbacks optioned RHP Braden Shipley to Reno Aces. June 27, 2017 Arizona Diamondbacks recalled Braden Shipley from Reno Aces. June 6, 2017 Arizona Diamondbacks optioned RHP Braden Shipley to Reno Aces. June 4, 2017 Arizona Diamondbacks recalled Braden Shipley from Reno Aces. May 5, 2017 Arizona Diamondbacks optioned RHP Braden Shipley to Reno Aces. May 4, 2017 Arizona Diamondbacks recalled Braden Shipley from Reno Aces. March 20, 2017 Arizona Diamondbacks optioned RHP Braden Shipley to Reno Aces. July 25, 2016 Arizona Diamondbacks selected the contract of RHP Braden Shipley from Reno Aces. April 4, 2016 RHP Braden Shipley assigned to Reno Aces. February 3, 2016 Arizona Diamondbacks invited non-roster RHP Braden Shipley to spring training. February 13, 2015 Arizona Diamondbacks invited non-roster RHP Braden Shipley to spring training. August 23, 2014 Mobile BayBears activated RHP Braden Shipley from the 7-day disabled list. August 14, 2014 Mobile BayBears placed RHP Braden Shipley on the 7-day disabled list retroactive to August 13, 2014. August 3, 2014 RHP Braden Shipley assigned to Mobile BayBears from Visalia Rawhide. July 15, 2014 Visalia Rawhide activated RHP Braden Shipley from the temporarily inactive list. July 12, 2014 Visalia Rawhide placed RHP Braden Shipley on the temporarily inactive list. May 28, 2014 RHP Braden Shipley assigned to Visalia Rawhide from South Bend Silver Hawks. April 17, 2014 South Bend Silver Hawks activated RHP Braden Shipley from the 7-day disabled list. March 31, 2014 South Bend Silver Hawks placed RHP Braden Shipley on the 7-day disabled list. August 14, 2013 RHP Braden Shipley assigned to South Bend Silver Hawks from Hillsboro Hops. June 19, 2013 Braden Shipley assigned to Hillsboro Hops. June 16, 2013 Arizona Diamondbacks signed RHP Braden Shipley.